See how these Exchange books stack up and decide which ones you should add to your library. I admit it -- I have a serious book problem. I can't stop buying them. It's nearly impossible for me to walk into a bookstore and leave without picking up at least one new book. This type of behavior is not uncommon for IT people (or so I keep telling my wife). After all, we must always stay current on new technology. My students frequently ask me for recommendations on good books to beef up their knowledge on a particular subject. Exchange management and administration is always a hot topic, so I pulled seven Exchange books off the shelf -- some new, some old stalwarts, some thorough references and some quick handbooks -- and read them all. Here's the inside line on each book and how they stack up in the world of Exchange references. Readability: How easy is it to read the book? Is it overly dry or fun to read? Technical Depth: How deep into Exchange does the book go? Does it cover mostly superficial concepts or dig into the nuts and bolts of what goes on behind the scenes? Will you get some real valuable tips and tricks? Technical Accuracy: Is the book technically accurate and comprehensive? Focus: Does the book cover the content expected? Is it on target? With those criteria in mind, let's see what's out there. Mastering Microsoft Exchange Server 2003 (MMES) is written for someone with little previous experience managing Windows 2003 or Exchange 2003. It covers a lot of topics besides Exchange management, such as installing domain controllers, backing up Windows and configuring Outlook. If you already have significant Windows 2000 or 2003 experience, you may find yourself skipping the beginning chapters. I read a third of the book before I started getting into any substantial Exchange information. MMES constantly explains how things worked before vs. how they work now. If you're experienced with Exchange 5.5 and NT 4.0, you may find this useful. If you're new to Exchange, it may be overkill. That historical detail draws the book out too much for me. MMES does a great job of walking through the processes of deploying and configuring Exchange. There are screen shots and explanations of every tab within the Exchange System Manager, and MMES has the most detailed section on Network News Transfer Protocol I have ever seen. I particularly liked the chapter about Outlook forms. Most Exchange books barely mention forms. After reading this chapter, the average IT guy should have no problem creating and using forms. Overall, I found MMES to be a bit repetitious and drawn out. I was disappointed that a book of this size didn't go into more depth and contain “behind the scenes” Exchange content. I thought there would be more high-level theory, but it was mostly surface-level explanations. This might not be the choice if you're looking for a book that really gets deep into the details of Exchange internetworking. 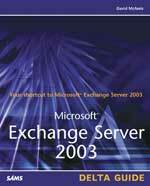 The Microsoft Exchange Server 2003 Delta Guide (MESDG) is not for newbies. 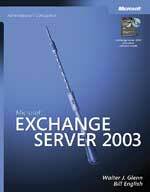 This title is for the seasoned Exchange 2000 administrator moving to Exchange 2003. 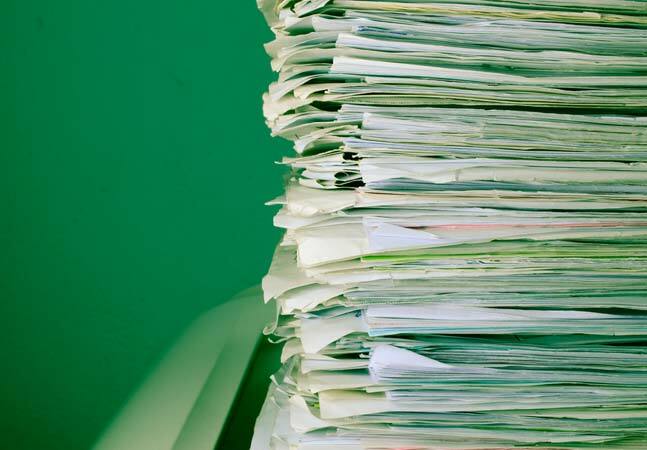 If you're an efficient administrator with loads of Exchange 2000 experience, you'll probably be bored with most of the Exchange books currently on the market. Most are written for someone new to Exchange. I found myself skimming through those big books looking for content describing the differences between Exchange 2000 and 2003. This book cuts out all of the fluff and gets straight to the differences. MESDG is only 155 pages long. The longest chapter is only 19 pages. The short chapters make MESDG easy to read. This book flows well enough so that you can read it straight through. All of the interface changes are illustrated with screen shots, so there will be no surprises when you take what you've learned from this book into the real world. If you're looking for a book that covers a lot of theory, then this book isn't for you. However, if you want a book that will quickly help you cross over from Exchange 2000 to Exchange 2003, this is your guide. Mission Critical Microsoft Exchange Server 2003 (MCME) isn't like most books on the market in this category, in that it doesn't cover every aspect of Exchange. It focuses on the factors that relate specifically to maximizing Exchange server uptime, such as clustering, Exchange data recovery and securing Exchange. MCME has high-level technical content and, as such, isn't for beginners. I've been using and teaching Exchange since the days of Exchange 5.5, and found myself having to reread portions of the book to make sure I fully understood some content. If you're new to Exchange this book may initially be over your head. Some of the chapters seemed to drag on forever (like the chapters on the four pillars of mission-criticality and establishing service-level agreements). This isn't because the chapters are poorly written -- it's just that the content in those chapters wasn't of particular interest to me. If you're familiar with the fundamentals of Exchange, but are looking for a deeper understanding of the storage technologies Exchange uses or if you need to deploy an Exchange 2003 cluster, then you should buy this book. MCME explains the database technologies better than any Exchange book I've read. These chapters alone were worth the price. This is a very technical book, but the topics are explained in a way that makes sense. The Microsoft Exchange Server 2003 Administrator's Companion earns big points for the manner in which the content is presented. Each chapter is fairly short and gets straight to the point. You can also read any chapter independent of the others. This makes for a great reference book as you can open it, read the chapter you want and have everything you need right there. The text is easy to read and screen shots illustrate almost all the tabs. There's a good mix of theory and hands-on “how to” content. It doesn't go overboard on the technical side, but there are good explanations of how things work behind the scenes. For example, it shows you some of the Registry keys you can use to tweak Exchange 2003. You can segment Outlook Web Access (OWA) to limit the features that will be available (such as calendaring, messaging, contacts and so on). This is one simple way you can restrict how your users use OWA. The two things I would change about this book: First, I'd add a detailed section on Exchange clustering. Second, I'd reorder some of the chapters to put some of the deeper, more technical content toward the back. I've had students tell me they got bogged down in the first few chapters and couldn't get going. This is because it covers storage and routing architecture in chapters two and three. This is heavy-duty material, and to the beginner, it can make for dry reading. The Microsoft Exchange Server 2003 Administrator's Pocket Consultant (MESAPC) isn't meant to teach you the deeper theories behind Exchange. The purpose of this quick reference is to walk you through the daily administrative tasks of managing Exchange. Each chapter is short and to the point, and every task is explained with detailed instructions. MESAPC does a great job of explaining exactly how to do a particular task. It isn't the type of book you'd read straight through. Due to the compactness of the book, it's very dry reading. In this case, this isn't a bad thing. When you need to know how to do something in a hurry, you don't necessarily want a long, drawn-out explanation. You want quick and to the point. You can use the SHIFT or CTL keys to select multiple objects in Active Directory Users and Computers. Then right-click one of the selected objects and choose Exchange tasks. The tasks you choose will be applied to all selected objects. When building your server, the book recommends using RAID 1 for the log drives instead of RAID 5. Using RAID 1 will give you much better write performance. If you want to learn more about the deeper internetworking of Exchange or how to install and configure Exchange, skip this book and look to one of the longer, more thorough texts. If you want a reference book to quickly figure out how to do something, go no further. Microsoft Exchange Server 2003 Unleashed (MESU) didn't cover enough specific Exchange content for me. In a book of this length (more than 1,000 pages! ), I'd expect it to delve deeply into every aspect of Exchange. Most of the time, I felt like I was reading a Windows book and not an Exchange book. It covers DNS, Active Directory, Routing and Remote Access, migrating from Windows NT 4.0 to Windows 2003, Group Policy and Terminal Services. Exchange System Manager was only referenced in one or two chapters. If someone new to Exchange were to read this book, they probably wouldn't be able to administer an Exchange server when they were done. 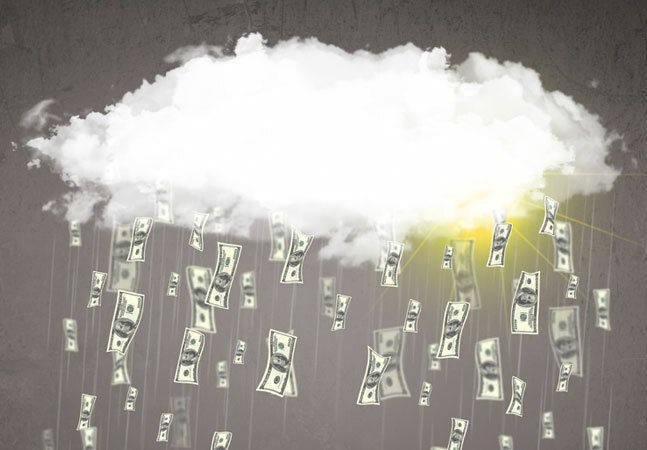 They would be able to handle the initial tasks like installing Exchange or migrating to Exchange 2003, but not the day-to-day tasks involved with Exchange management. MESU is certainly well written. 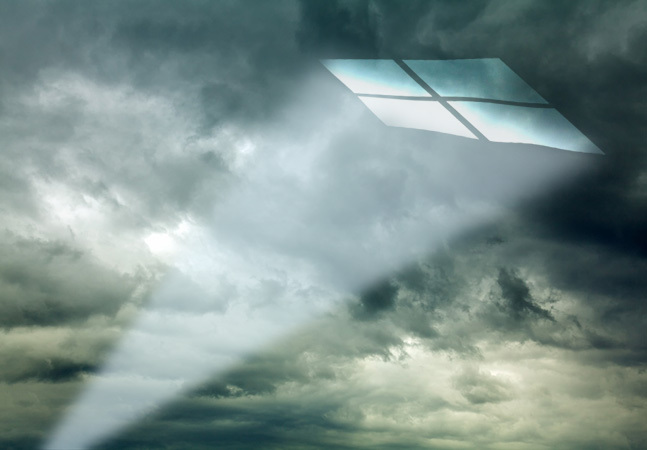 It gives a lot of detail on client access, such as Outlook, OWA, ActiveSync and Outlook Mobile Access. It also did a good job of explaining how to synchronize directories between Exchange organizations and interoperability with other directory services. The content in the book is good, but goes in the wrong direction for an Exchange book. If you want a book that brings you up to speed on all facets of Exchange, this may not be the one. The Microsoft Exchange Server 2003 Resource Kit (MES2RK) is a beast of a book. It is truly the bible of Exchange books. MES2RK walks you through all phases of an Exchange deployment. It covers planning, designing, implementing and troubleshooting, and includes lots of high-end theoretical content for each section. Each chapter is so detailed that you could purchase the book, use only one chapter and still get your money's worth. I've always been a fan of Microsoft's Resource Kits, and that certainly holds true for this one. I especially like the detail on migrating to Exchange 2003. MES2RK covers migrating from Exchange 5.5, Exchange 2000, Lotus Notes and Novell Groupwise. It also explains how to use Microsoft Identity Integration Server to synchronize multiple Exchange organizations. One of the best things about the MES2RK is the accompanying CD. It includes tools and whitepapers for each chapter. Just for Chapter 1 alone, there are 20 whitepapers and seven scripts for listing objects and managing quotas. This isn't the type of book I'd recommend you try to read straight through. Its size can be overwhelming. However, for a comprehensive reference, you won't find a better book. Every Exchange administrator needs to have a copy of this book on the shelf (just be sure it's a sturdy shelf). 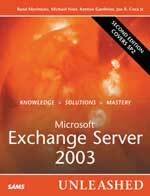 The Microsoft Exchange Server 2003 Administrator's Companion is my favorite out of this batch of Exchange books. This is the one I recommend to all my customers and the one I use for teaching my Exchange classes. 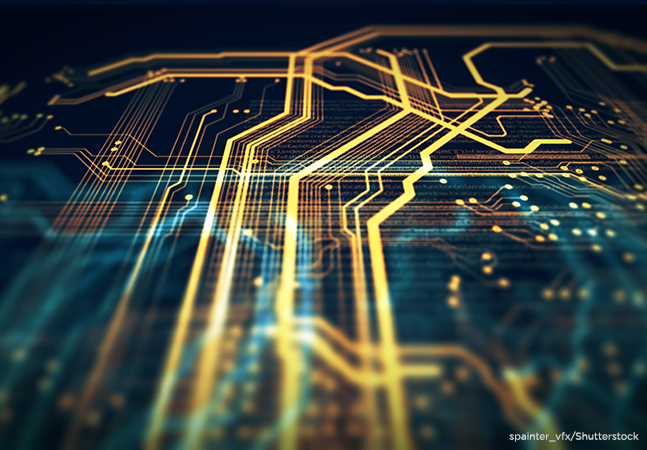 Easy to read and understand, there's also enough high-level content to keep the experienced administrator happy and plenty of screen shots to guide the new Exchange administrator thought all aspects of the product. If you want to learn the ins and outs of Exchange 2003 and can only get one book, this is the one. 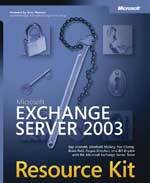 My second favorite is the Microsoft Exchange Server 2003 Resource Kit. It goes deeper into technical content than most of the other books here and covers a wide variety of topics. If you want to know how something in Exchange works, you can probably find it here. From a technical content perspective, this is my favorite book. Its size can be daunting, though, because a lot of people will not have the discipline to read it all the way through. The unique formats of both the Microsoft Windows Server 2003 Delta Guide and the Microsoft Exchange Server 2003 Administrator's Pocket Consultant set them apart. If you just want a book to explain the features gap between Exchange 2000 and 2003, then pick up a copy of the Delta Guide -- just don't be upset when you finish it in one night. For help with the day-to-day Exchange tasks, it doesn't get any better than the Pocket Consultant. I'd use this one in conjunction with another book that gets into the deeper theoretical levels of Exchange. Not surprisingly, Microsoft Press is the winner for the best Exchange books. Start with the Administrator's Companion to begin learning Exchange. Then pick up a copy of the Resource Kit to kick your Exchange knowledge up to the next level. You'll be well on your way.